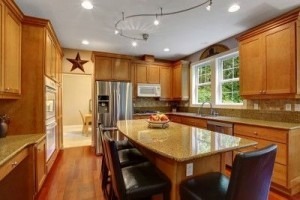 Are you looking for the finest bespoke kitchens Southampton has to offer? Look no further than Acorn Builders. With over twenty-five years’ experience, we’ve amassed a widespread reputation for providing the best building services to a variety of highly satisfied clients. To find out more about how Acorn Builders can help you to create your very own dream kitchen, contact our friendly and helpful team on 023 8024 3336 today. With over twenty-five years of experience offering only the highest quality bespoke kitchens Southampton has to offer, your search for the perfect construction service is over. Located near the beautiful New Forest, we provide our exceptional bespoke kitchen services across the South of England and tailor our vast array of skills to suit your requirements. Acorn Builders can build, as well as supply and fit worktops, appliances, sinks and taps to create the kitchen of your dreams. Once you decide on the design and materials for your Southampton bespoke kitchen, our highly experienced team will bring your vision to life. If the service you require isn’t listed above, contact our friendly and helpful team who can discuss your requirements, by calling us on 023 8024 3336 today. Whether you’re savouring the early moments of the morning over breakfast, enjoying a family home cooked meal or baking with friends, the kitchen truly is the heart of your house. That’s why, as providers of the best bespoke kitchens in Southampton, we take a personal approach to creating a kitchen with your requirements in mind. Involved in the design process for our Southampton bespoke kitchens from start to finish, you’ll be able to witness your ideal kitchen come to life before your very eyes. Our fully qualified and talented team of designers and builders can produce a personal plan to accommodate all of your particular requirements. Whether its colour coordinated cabinets, underfloor heating or feature lighting, to soft close hinges, feature lighting or rigid cabinets, you won’t find a more professional service elsewhere. 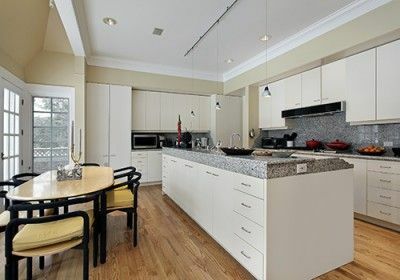 With our highly efficient operation, which includes a full package of kitchen units, appliances and installation team, your dream kitchen can be ready in as little as 4 – 6 weeks. So, what are you waiting for? The finest bespoke kitchens in Southampton are simply a phone call away. With accreditations from the National Federation of Builders, Checkatrade and Buy with Confidence, you can rest assured that you’re with a company that offers only the most genuine and professional service. As well as offering the finest bespoke kitchens in Southampton, we also offer a vast range of other exceptional domestic building services. So, whether you’re looking for loft conversions, extensions or roofing, to tiling, decorating and groundworks, our highly talented and experienced team can do it all. If you still need convincing that Acorn Builders provide the finest bespoke kitchens in Southampton, have a look through our gallery to get a glimpse of some of our superb building work. You’ll also find glowing testimonials from many of our satisfied customers, which demonstrates our first class and unbeatable service. To find out more about the finest bespoke kitchens Southampton has to offer, contact our friendly and helpful team by calling us on 023 8024 3336 today. 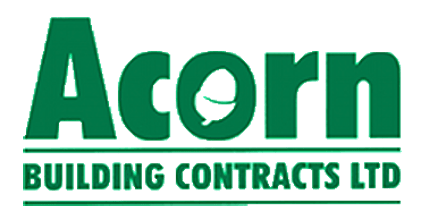 Alternatively, you can email us at acornbuilding@gmail.com, or fill out our simple online enquiry form, and we’ll get back to you as soon as possible.